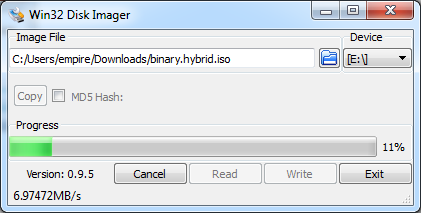 Writing a hybrid style iso on Microsoft Windows and linux to a usb stick. There is an issue writing hybrid images to a usb using unetbootin/ubuntu's startup disk creator as it seems to not write them correctly. When you run it - you will get a screen like this. Select the USB device to write to. 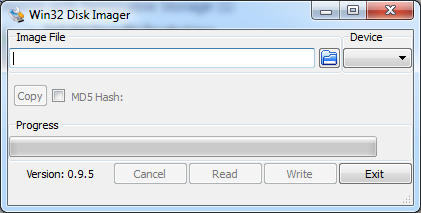 Be careful - it will erase the entire usb stick..
Then click Write - you will get this warning for your selected usb device. 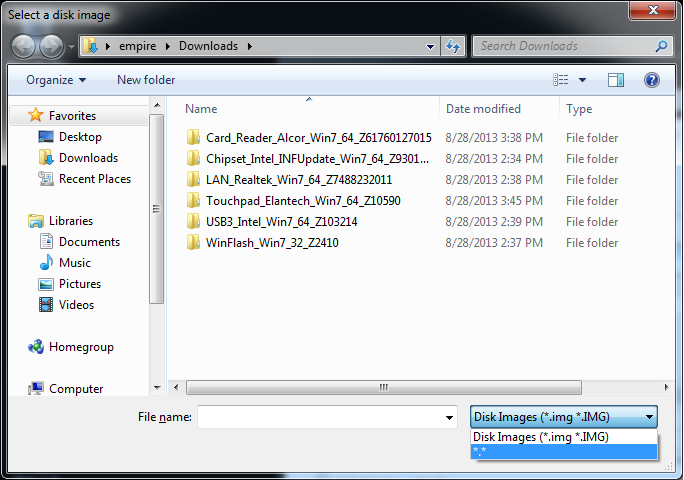 Then it will write the image to the usb stick. At the end you get this message. Plug in your USB stick, and open your terminal window. Your output will be slightly different, but pay attention to the bolded parts above, and make sure you have the right device. 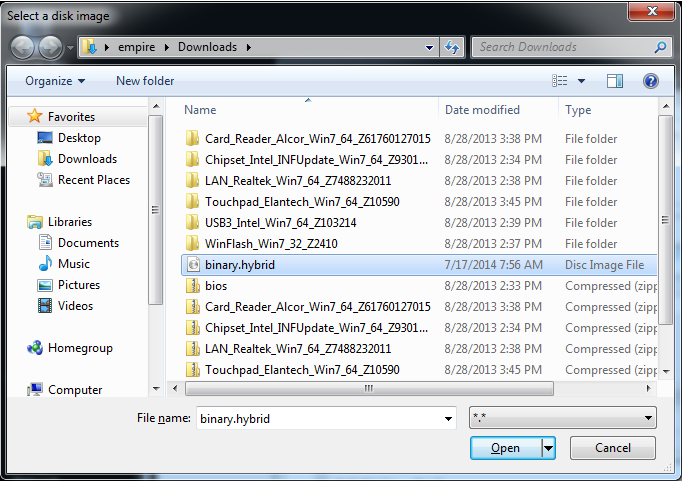 You can see mine is a 4 GB "Verbatim" stick, and it is given the device name sde. It is important you know the right device. Do not guess. An alternate command to find the correct device is lsblk which will show all devices and their mount points by default. Run it once with the USB device unplugged, then connect it, give it a second to find it, and run lsblk again and the new entry will be your device. Again, be careful, DD is a orbital nuclear laser of power. 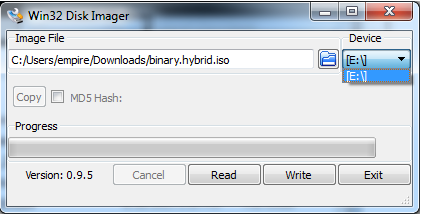 Of course, you'll replace XXXXX.iso with the name of your downloaded iso, and sdX with your USB stick's device name. When it is done writing, this USB stick will be bootable.